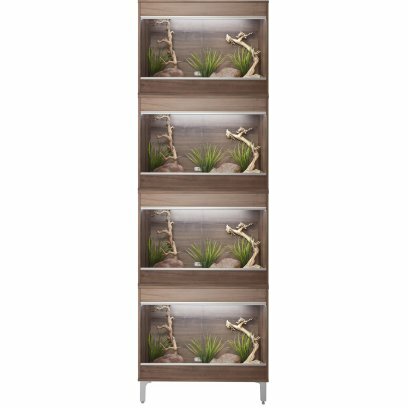 Repti-Home MAXI units are ideal as a stand-alone habitat, but the unique design means you can stack the units in a variety of ways to add to your pet's home. 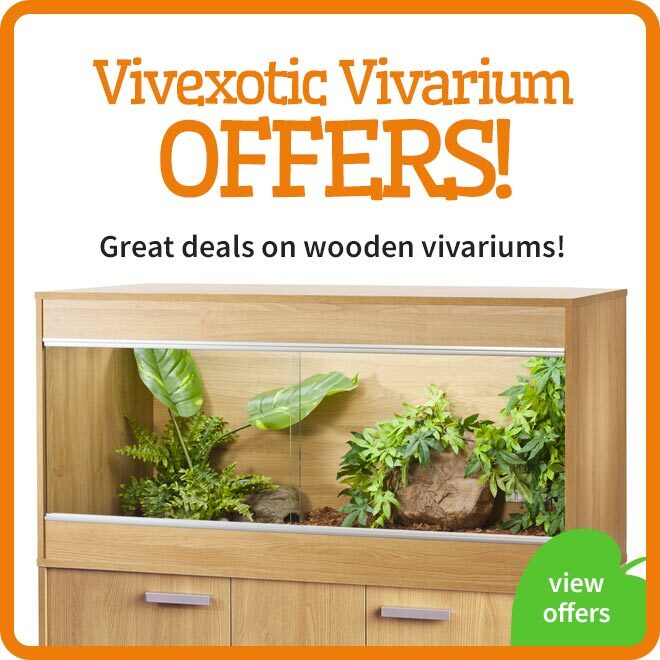 Repti-Home Maxi vivariums offer great value living space for your reptile. 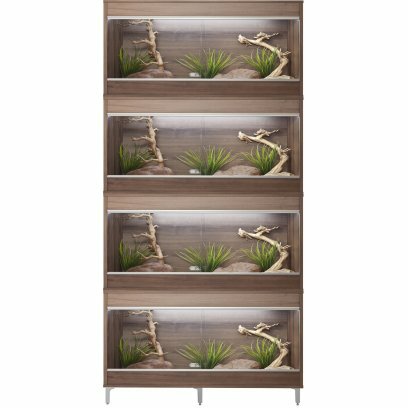 These quality constructed vivariums feature toughened glass and non peeling laminate to ensure not only will your reptile be happy and healthy in his new home but you can be sure of a high specification, long lasting vivarium that will sit effortlessly in any home environment. 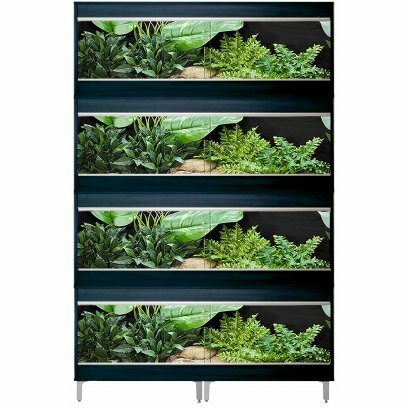 Taller and deeper than the standard range, Repti-Home Maxi offers a huge 30% increase in floor space. 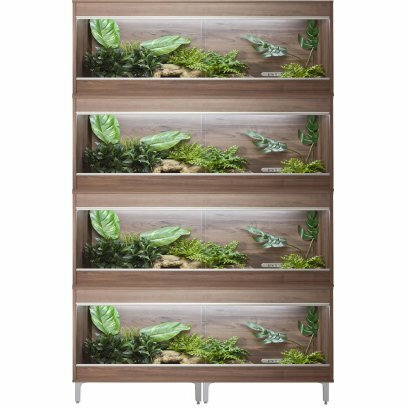 The Medium Maxi Vivexotic Repti-Home is a great starter vivarium for many species ofsmall to medium-sized reptiles. 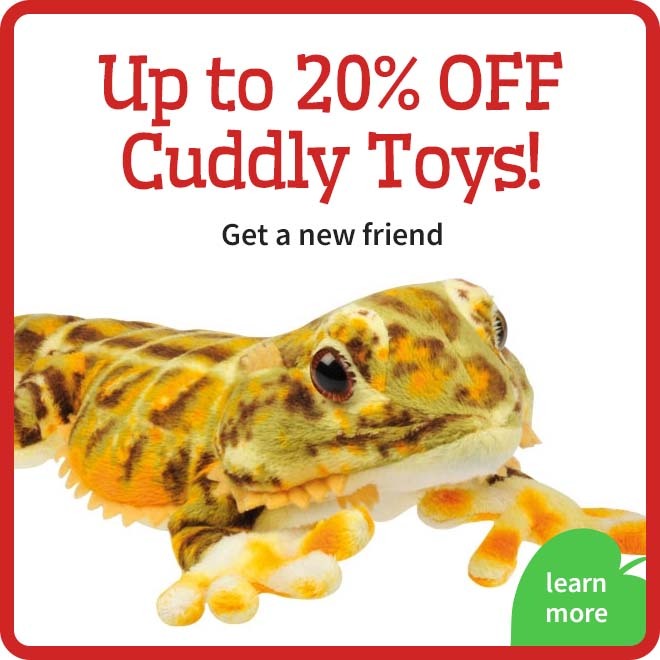 It's perfect for corn snakes, milk snakes, kingsnakes, leopard geckos and even baby tortoises. 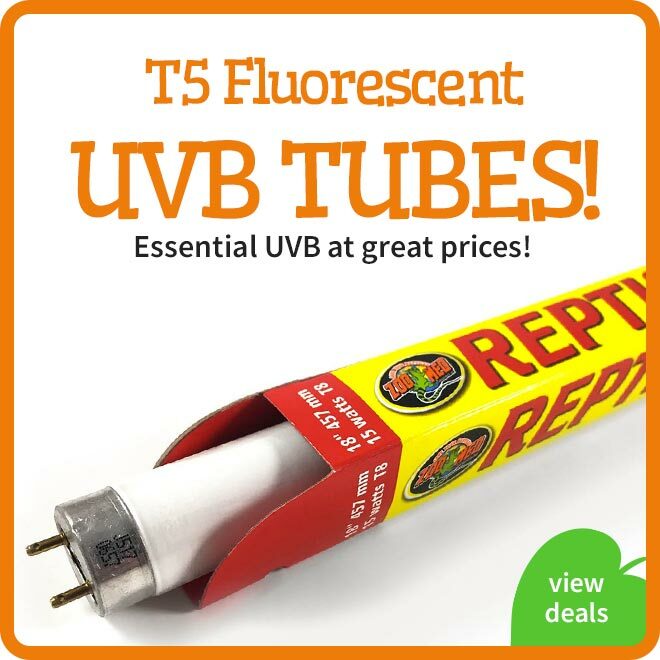 Larger rails - allows deeper substrate and less obtrusive lighting installation. Improved rail construction to ensure the rails are held firmly in place. Cable access holes for up to 3 cables each side. 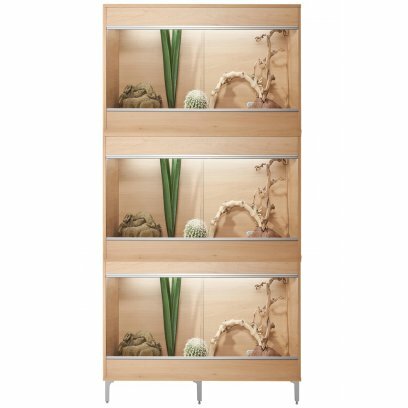 Secure toughened glass sliding doors. 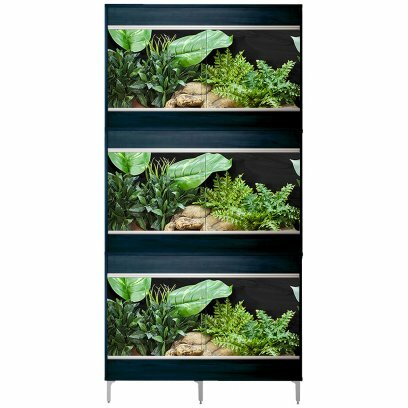 No exposed chipboard on vivarium floor - no mites or moisture can access the vivarium. 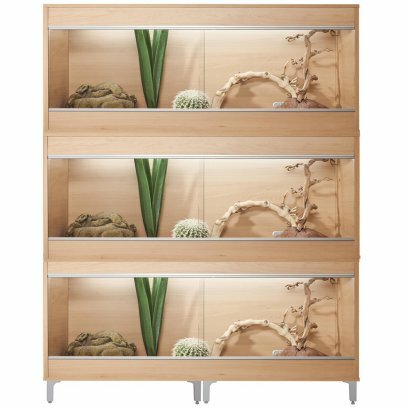 Ventilation slots in the rear panel ensure a steady flow of air. 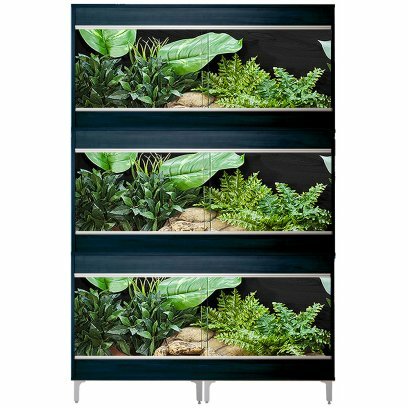 Manufactured in the UK - you can be sure of a high quality, neatly constructed vivarium. 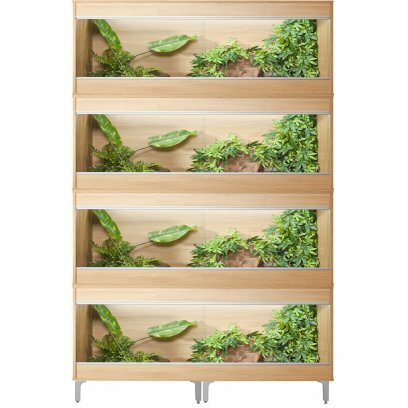 The Large Maxi Vivexotic Repti-Home is a great starter vivarium for many species of medium to large-sized reptiles. 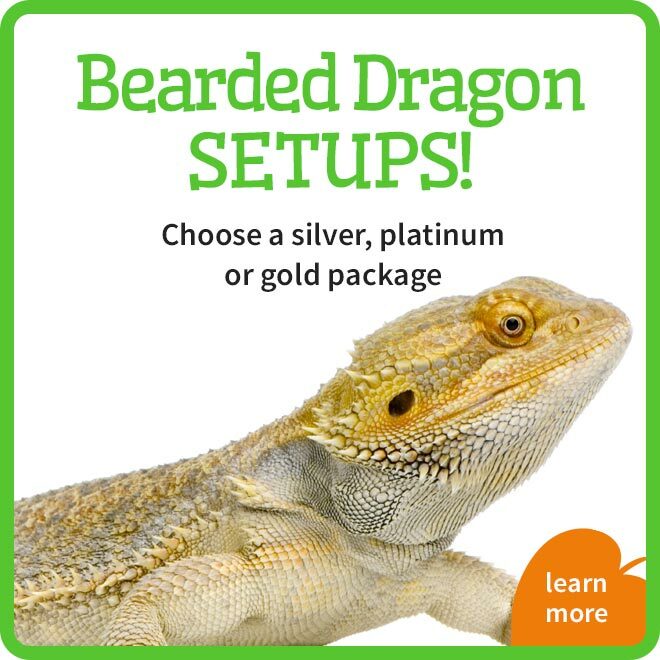 It's perfect for bearded dragons, young tortoises, skinks and many snakes. 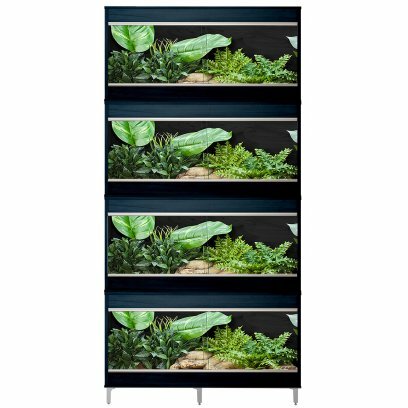 The Extra Large Maxi Vivexotic Repti-Home is a great starter vivarium for many species of medium to large-sized reptiles. 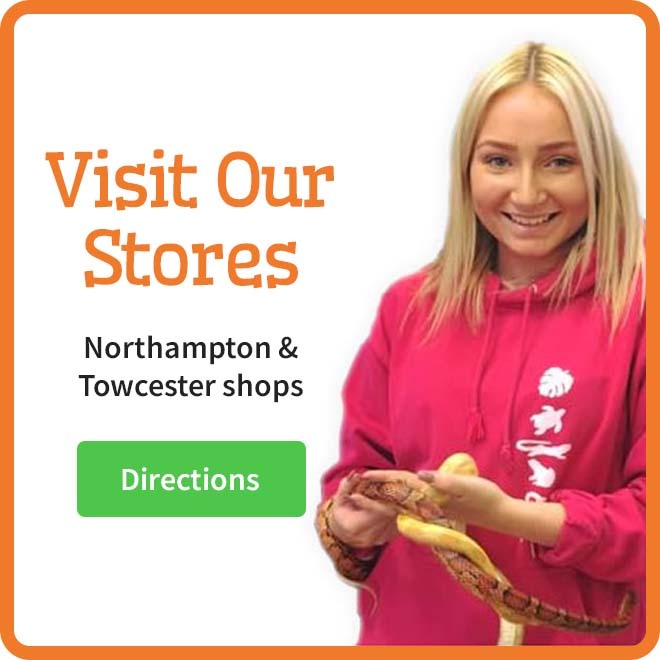 It's perfect for bearded dragons, young tortoises, skinks and many snakes. 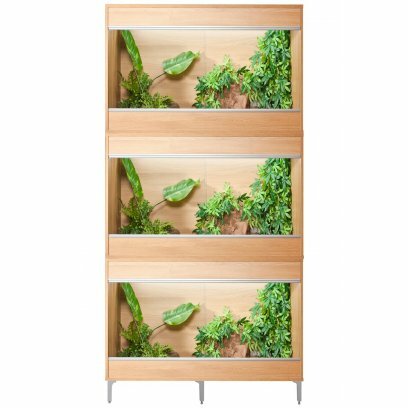 Repti-Home units are ideal as a stand-alone habitat, but the unique design means you can stack the units in a variety of ways to add to your pet's home. 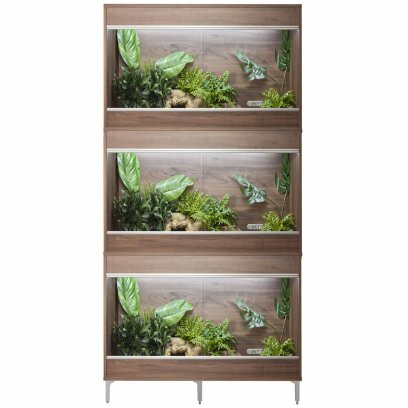 They offer a great value living space for your reptile and are incredibly versatile, well made and have the added benefit of being able to be stacked together in multiple ways to make the best use of your space. 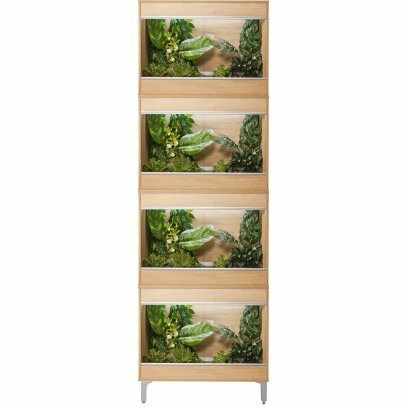 Repti-Home offers a versatile, streamlined solution to your pet's housing requirements. 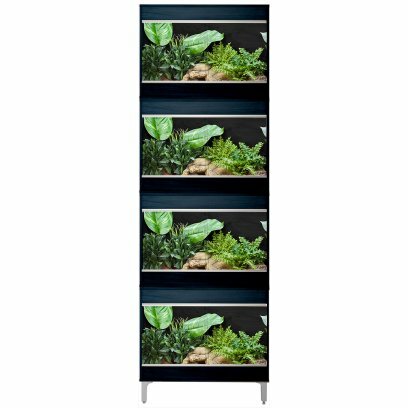 The Small Vivexotic Repti-Home is a great starter vivarium for many species of medium to large-sized reptiles. 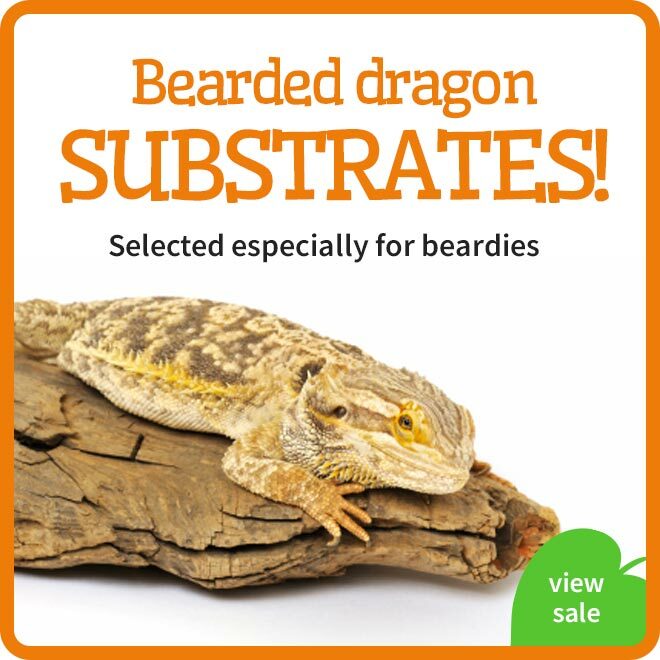 It's perfect for bearded dragons, young tortoises, skinks and many snakes. 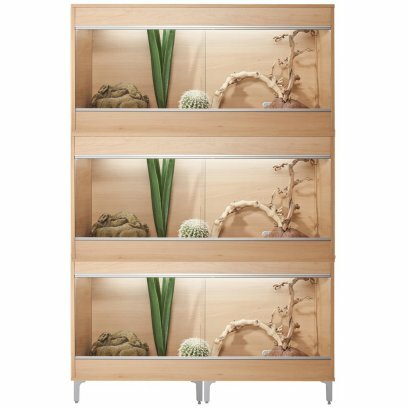 Brand new colour options to fit beautifully in any home environment. Improved fixings ? 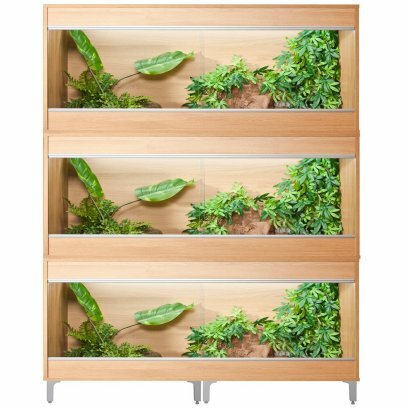 every Repti-Home vivarium comes complete with OneFix connectors. 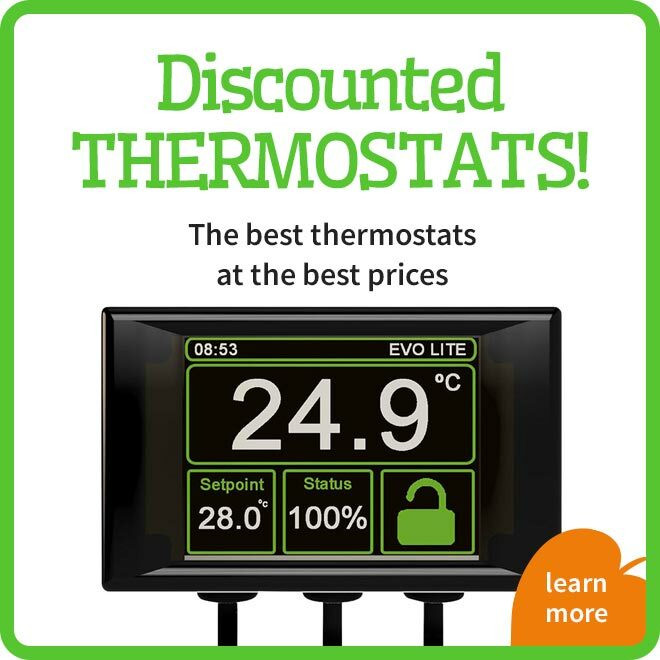 Provides the ability to create a combination of vivariums units to meet your requirements. 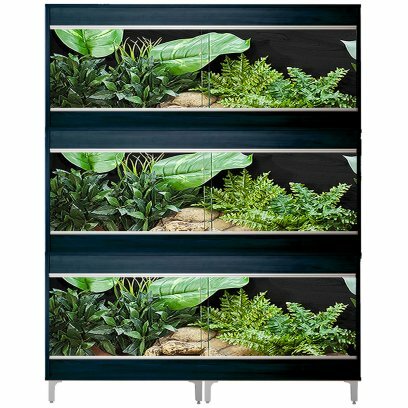 Ventilation slots in the rear panel ensure a steady flow of air throughout each vivarium. 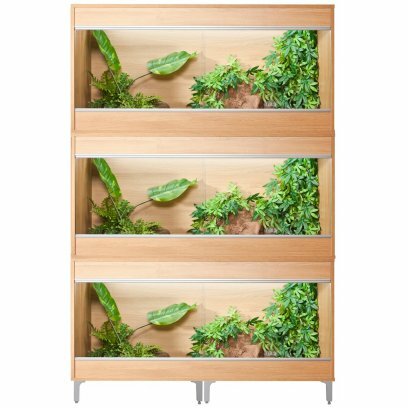 The Small Vivexotic Repti-Home is a great starter vivarium for many species of small or medium-sized reptiles. 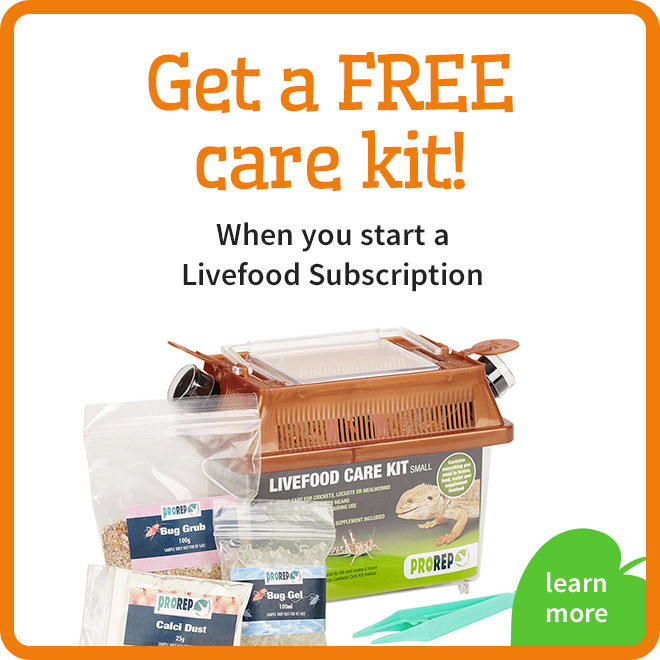 It's perfect for corn snakes, milk snakes, kingsnakes, leopard geckos and even baby tortoises. 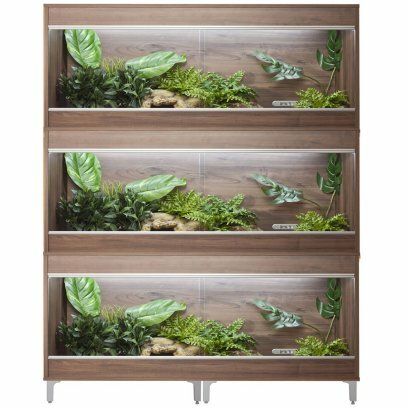 The Small Vivexotic Repti-Home is a great starter vivarium for many species of small or baby reptile. 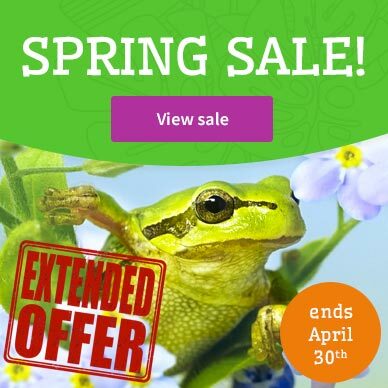 It's perfect for young corn snakes, milk snakes, kingsnakes, leopard geckos and fat-tail geckos. 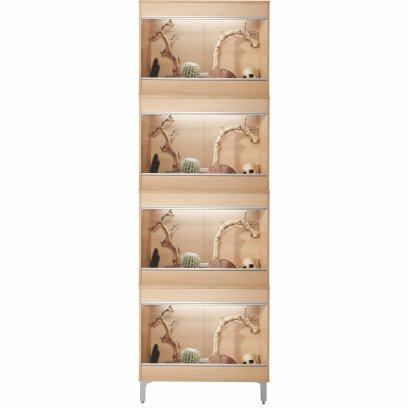 A range of stackable vivariums and bank systems to allow you to home multiple pets in one unit. 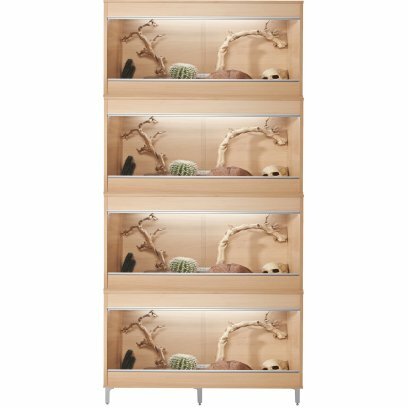 The stacks come with 3 or 4 vivariums each of which is separate but stack on top of eachother with the appropriate number of feet. 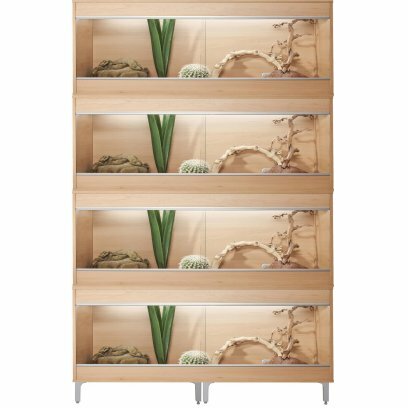 We have each size stack in oak, beech and walnut to ensure that a stack is available to suit you. 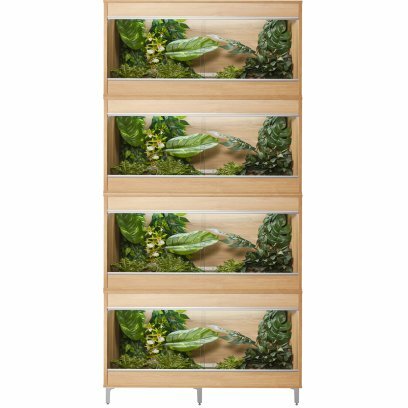 These stack comprise of 3 or 4 reptihome vivariums which are each individually packed and will need constructing. 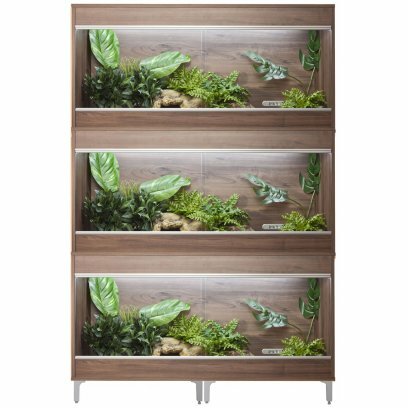 Please note, these vivariums are designed to stack and take eachothers weight but we still recommend fixing them together or tethering each vivarium to the one above.